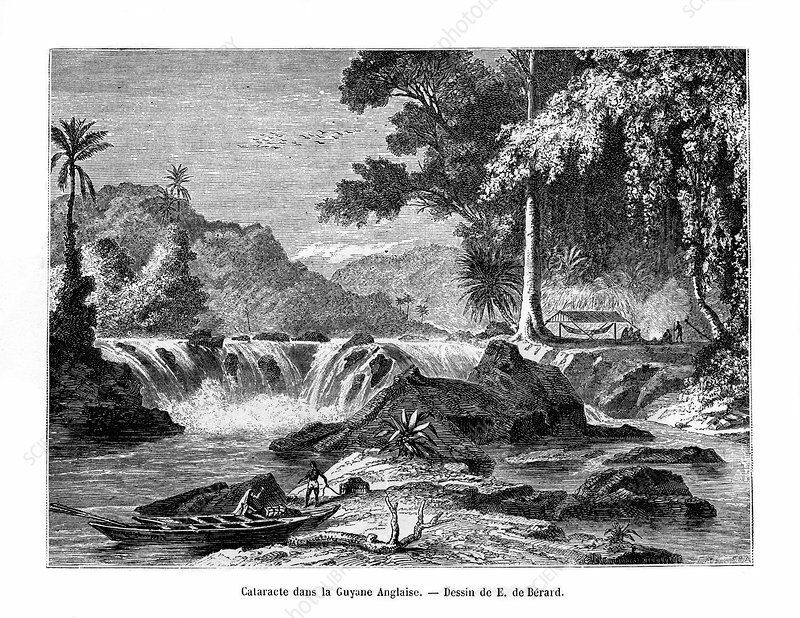 Waterfall, British Guiana, South America, 19th century. View of a waterfall in Guyana, (formerly British Guiana). Artist: E de Berard.